What are you grateful for? Whether it is Thanksgiving time or any time of year, it’s a great time to take stock in the many areas in life where we are blessed. Did you know gratitude can lead to greater happiness? In a research study done by Dr. Robert A. Emmons of the University of California, Davis, and Dr. Michael E. McCullough of the University of Miami, participants were asked to write a few sentences each week. One group wrote about things they were grateful for during that week while the other group wrote about things they were irritated about or where they felt hassles. At the conclusion of the study, those who wrote about gratitude were more optimistic and felt better about their lives as a whole. (Emmons & McCullough, 2003). In addition to optimism and happiness, participants also benefited from fewer physical problems and even spent more time exercising. 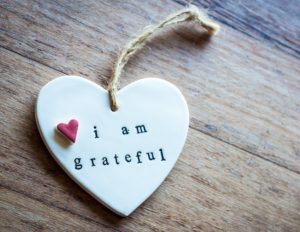 The proceeding studies found that benefits increased as the participants spent more prolonged time (2-3 months) in the activities of gratitude. Even 10 minutes a day writing a gratitude journal can lead to an optimistic outlook, improved mood and increased happiness. Other studies have shown additional benefits of gratitude practice including improved self-esteem, better sleep, increased mental strength, increase empathy, reduced aggression, reduced depression, fewer physical aches and pains, healthier relationships and more. With all the potential benefits, why not give it a try! Here are some easy ways to increase thankfulness and gratitude in your life. Begin your day by writing, saying or consciously thinking at least three things are you grateful for – your health, your family, your job, your breakfast, clean water, fresh air, to be alive! Remember that waking up each day is one of the first things to be grateful for! Say “thank you” to others more often as you move through your day – offer eye contact or a smile. Notice things that make you feel happy, one thing that touched your heart or brought you joy – sunshine, good food, a nice hug. When you feel anxious, sad, frustrated or just off – interrupt the feeling with a thought of gratitude. Acknowledge something you did well today and be grateful for your wise self! Tell someone you are grateful that they are in your life. End your day counting your blessings – something you learned, what you enjoyed in the day, an act of kindness received or given, what made life easier today, what went smoothly. 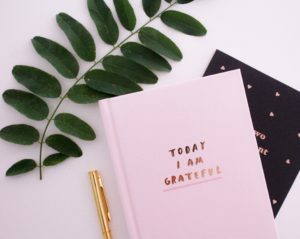 One of the most powerful tools to help you open to the possibilities and opportunities of focusing on the positive, is the use of a gratitude journal. A gratitude journal is a great way to encourage you to acknowledge the good things in your life. It supports your willingness to be accountable in moving into a space of gratitude. So get your journal, block off 10-15 minutes every morning or evening, and start writing! Here are some gratitude prompts to get you started your gratitude journal. What happened this week that stands out as special to you? Name at least one kind gesture from someone. Write about a place that is special to you. What accomplishment makes to feel good. Write about a friend who is important in your life. Describe a personal skill you are thankful for. What is something simple that makes your life easier? And when you are ready to go a bit deeper, here are some prompts for your self-gratitude journal. Where did I express forgiveness? How have I shown confidence? What step did I take to follow my dreams? How did I overcome depression or sadness? Where did I feel success today? How did I demonstrate freedom from fear? When did I consciously let go of stress? How did I follow through with motivation? Where was I open to change? Thankfulness helps us feel more satisfied in our lives. It is a way to help us appreciate what we have rather than what is lacking. Gratitude makes us healthier and improves our quality of life. What is the easiest way to be happier? Cultivate an attitude of gratitude! To every person reading this: I am grateful that you are in my life! 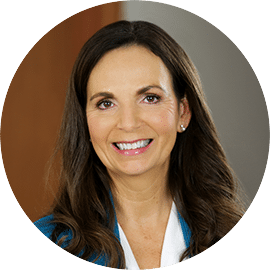 Set up a complimentary session to explore how Holistic Life Coaching can support you in cultivating an attitude of gratitude. 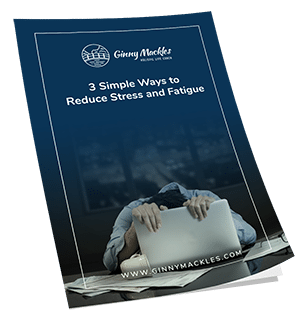 Thank you so much Ginny Mackles, the Reiki I class was an incredible experience, I learned so much about myself, it was like rediscovering myself. I’m so excited to start Reiki II. Thank you.